Discover the true meaning of life at St. Alma Baptist Church, your place of worship in Lakeland, LA. St. Alma is here to guide you in living a purposeful life with Christ at its center, and it starts by accepting a new life in Christ Jesus! Allow Reverend Dr. Mary Whitley Moss, our pastor and the Church family to guide you in your walk with Christ. We greet you in the precious and powerful name of Jesus the Christ. This website has been made available because it not only affords an opportunity to share St. Alma’s ministry and what she has to offer, but it also provides another opportunity to share Christ. We are living in crucial times; in our last and evil days but we proclaim that Christ is still Lord and His return is imminent. Therefore, once again, we hope to make this ministry a worldwide ministry through its availability. St. Alma is a small church which is built on the foundational principles of Jesus Christ. It is our desire to be Christ-centered, thus, being disciples of Christ and busy making disciples for Christ. The church has recently reduced its number of ministries because we realize that there can be numerical growth without spiritual growth. We will pursue this same goal through our website. We pray that all that we do and say will move forward the kingdom of God. 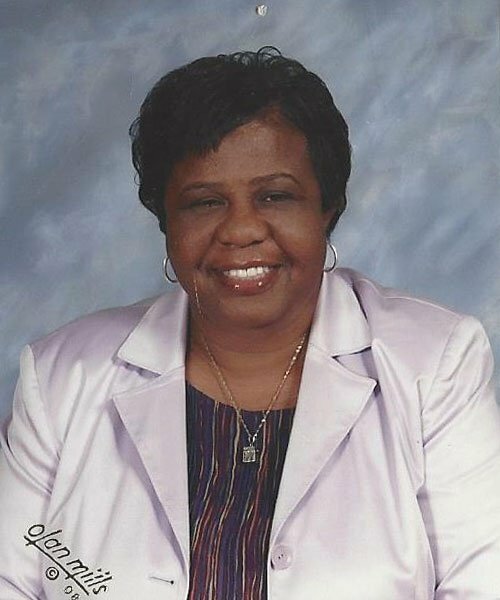 The Reverend Dr. Mary Whitley Moss is pastor of St. Alma Baptist Church, Founder and Executive Director of Louisiana Area Women in Ministry, and Director of The Southeast Regional Biblical Institute. Her commitment to responsible leadership, transformative teaching and responsible handling of God’s Word is evidenced in her role as pastor, teacher, and administrator. Dr. Moss sees the church as the body of Christ and as the instrument chosen of God to continue the work of the ministry of Jesus. Dr. Moss is a community leader. Her community focus is impacting lives through intergenerational leadership, outreach projects, and training of ministers and leaders. Dr. Moss is the impetus behind The Village Project, a community wide effort that will mobilize and empower lives within the Eden Park community. Dr. Moss’ core belief is that it takes the power of God and the whole village to move from a place of brokenness to a place of empowerment. Dr. Moss earned a Bachelor of Arts Degree from New Orleans Baptist Theological Seminary in New Orleans, Louisiana. She returned to New Orleans and earned a Masters of Divinity Degree from New Orleans Baptist Theological Seminary, with languages, Hebrew and Greek. Dr. Moss earned a Doctor of Ministry Degree in Biblical Preaching from Beeson Divinity School at Samford University in Birmingham, Alabama. Thus she became the third African American female to be awarded a doctorate degree. Dr. Moss has certification in Expository Preaching from E. K. Bailey International Preaching Conference. Dr. Moss was called to the ministry in 1991 and was later ordained by the late Reverend Charles T. Smith, pastor of Shiloh Baptist Church, the Fourth District Association and the Baton Rouge Ministerial Association. Thus she became the first female minister to be ordained at Shiloh Missionary Baptist Church where she served as Minister of Evangelism and Christian Education. Dr. Moss was elected unanimously as the seventh pastor of St Alma Baptist Church of Lakeland, Louisiana was a historic moment in the life of the then 134 year old Baptist Church on February 17, 2008. She became the first female elected to the position of pastor of this traditional Baptist Church and the first female ever installed by the then, 133 year old Fourth District Baptist Association. Dr. Moss has been privileged to serve as teacher, lecturer, facilitator, and revivalist at many schools, colleges and churches throughout this country. She is a member of the Fourth District Baptist Association. She has served as the Christian Education Director for the Pointe Coupee Parish. Dr. Moss is the recipient of numerous commendations and honors. However, a great honor bestowed upon Dr. Moss was the establishment of The Dr. Mary Whitley Moss Endowment Scholarship by the graduates of the Southeast Regional Biblical Institute in 2015. These scholarships will be awarded to worthy African American students who have chosen to pursue a degree Religious Education from New Orleans Baptist Theological Seminary. A second honor bestowed upon Dr. Moss was in her 2017 visit to Israel through the Baptist Council of Preachers of Detroit when given the privilege to preach on the Sea of Galilee, where Jesus did much teaching and preaching. Thus, began her international preaching. A third honor which has been bestowed upon Dr. Moss is that of having the pleasure of serving The Honorable Mayor Sharon Weston Broome, mayor of Baton Rouge, LA on her Women’s Advancement Commission. Recently, Dr. Moss was again honored by being the 2018 recipient of The MidCity Redevelopment Alliance, Reverend Mary E. Moody Lifetime Achievement Medal of Honor. We believe Christ is the Head of the Church. We believe in living responsibly in our relationship with Christ Jesus. We believe the Church is made up of people who belong to it by faith in Jesus Christ. We believe that the Church is a living organism and recognizes it needs for nurture, growth, and care. Our vision is to be a spiritual force of God, impacting the lives of people. Our goal is to become a beacon of light in the community, saving souls and changing lives. Admit to God that you are a sinner. Repent, turn away from your sin. Believe that Jesus is God’s Son and accept God’s gift of forgiveness from sin. Confess your faith in Jesus Christ as Saviour and Lord. The St. Alma Baptist Church of Lakeland, Louisiana is located in the rural community of Lakeland which is located in the southern part of the state in Pointe Coupee Parish. The physical structure of the church is situated on the parish line between Pointe Coupee and West Baton Rouge Parish. The church building was erected in 1874 on the Alma Plantation. The white wooden church had three rows of benches and a wood heater set in the middle of the church. The Rev. Horace was the founding pastor. The initial membership consisted of sixty-five persons who were mainly field workers. Jake Whitfield was the president of the Board of Deacons and William Watkins served as the senior deacon. The church also served as the place where African American children from Lakeland and the surrounding area gathered to learn to read, write, and count. St Alma has always had an interesting culture. It is a culture that has an affinity to education and great preaching. Though many of the people were poor, they were always open to new ideas and education. In the early 1900s, St. Alma served as the community school for local elementary students. It was not until the late 50s that the school closed. The church continued its mission to educate the children of the area at The Saint Alma Elementary School until a school was built on the grounds of St. Alma Baptist Church. The school was then under the administration of Pointe Coupee Parish School Board. Rev. Horace Jones served until his death on June 8, 1920. The church was without a pastor until 1921. Rev. Richard Johnson and Rev. Horace Thornton supplied the pulpit until the church elected Rev. Steven Johnson as pastor. Rev. Johnson served as pastor until his death in 1928. After Pastor Johnson’s death, the congregation elected Rev. Sidney Davis as its third pastor. It was under Rev. Davis’s leadership that the St. Alma Baptist Church established a choir in 1936. The choir’s first organization meeting was held at the home of Priscilla Broaden. There was no pianist. The choir’s officers were Cenas Jones, Sr., president; and Junior Green, vice-president. The first piano of the church was purchased during this administration. The first pianist for the church was Harvey Herron. The church also added the usher ministry in 1939. Priscilla Jacobs provided leadership to the first Usher Board. Past presidents include Emma Whitfield, Lode Johnson, Kitty Paul, Amelia Joseph, Evelyn Lee, Rachel Whitfield Moore, Elnora Whitfield, Ferdinand Ransom, and Rufus McDormic. During his tenure as pastor, Deacons James Moore, Sr., T. Moses, S. Jacobs; and Deaconesses Priscilla Jacobs, Amelia Joseph, Rachel Overstreet, Lula Lee, and Lode Johnson served the church. Pastor Davis served faithfully until his death in 1950. Rev. Cenas Jones was elected pastor of St. Alma in 1950. In 1953, the choir was reorganized with Alberta Desselle as pianist. The church purchased a second piano, an organ, choir robes, choir chairs, and hymn books. Drums were added to the ministry during Rev. Cenas Jones’ tenure as pastor. The first Vacation Bible School in the Lakeland Community was held in 1959. The Young Adult choir was organized in 1964 with Lester Williams as pianist. This choir later merged with the Senior Choir due to ageing issues within the senior choir. In 1988, Eliza Pollard became ill and was unable to serve as its president. Alberta Desselle resigned her position as pianist. William Smart and Louis Freeman served in the Music Ministry under Rev. Cenas Jones. Rev. Jones was also instrumental in renovating the little white wooden church to a red brick church with central heating and air conditioning. Rev. Cenas Jones was a man of vision and under his progressive leadership, a small parking lot, a fellowship hall, and an inside baptistery were added to the church. Prior to the installation of the baptistery, people were baptized in the area creek. Though Rev. Jones had a vision to purchase a church van, at the time of his death on August 27, 1993, his vision went unrealized. Rev. Cenas Jones served St. Alma for 43 years. The first four preachers all died during their pastorate. Rev. James Allen Terrance served as interim pastor from August, 1993 until December, 1993. He was elected as and installed as pastor on February 6, 1994. Under Reverend Terrance’s leadership, the church began a weekly Bible Study and scheduled leadership workshops. Thus, Pastor Terrance’s focus on Christian education and financial stewardship became evident. For the first time, members were encouraged to seek certification through the COOP program which was initiated through the National Baptist Congress of Christian Education. The Church also served as a site for Christian Education classes. sanctuary. Under his tenure, mission activities such as “Feed a Brethren”, our annual SABC Christmas “Feed a Family” and gifts to residents in the local nursing home. The first Board of Trustees was approved on March 28, 1994. The initial membership which was elected to serve one three year term was: Sisters Ernestine Ford, Ola Moore and Joyce Lewis and Brother Cenas Jones. The upkeep and maintenance of the church building and the financial affairs were entrusted to the board. The Cenas Jones, Sr. Grants and Scholarship Foundation was organized in 1994 for the purpose of awarding scholarship to students seeking post-secondary education. Kattie Beverly and Olivia Carter were elected as chairperson and co-chairperson, respectively. In 2001, the annual Power-up Camp began. The purpose of the camp was to assist boys’ and girls’ holistic development. In February 1994, the Sunday School Department reorganized with Linda Lockett, Superintendent and Audrey Antoine, Assistant Superintendent. The first Sunday school classes consisted of adult, junior, and intermediate classes which began on March 6, 1994. On March 13, 1994, St. Alma premiered its publication of the newsletter, Living Waters. The purpose of the newsletter was to inform the membership of church activities and provide inspiring articles. Rhonda Carter was appointed as Editor. The logo is the Lily flower. A Youth Ministry was initiated to foster and nurture Christian development, to provide counseling and to sponsor social activities for the youths of Saint Alma, Lakeland and the surrounding areas. 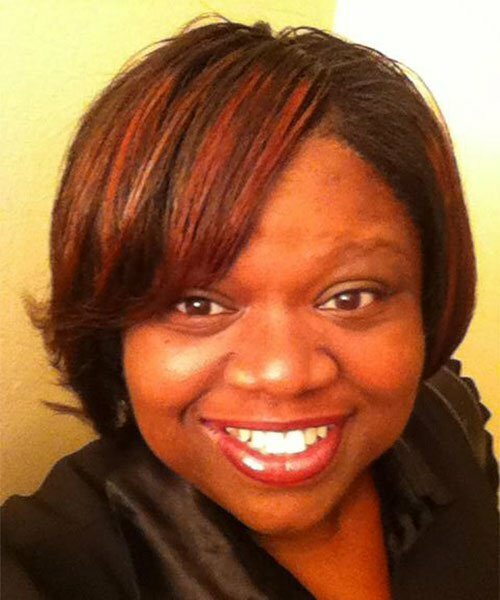 Pamela Jones served as Youth Director. The Youth Ministry events included youth revivals, as well as back to school festivals. The first youth service was held on the fourth Sunday in July, 1994. The church applied and received certification as a 501-C-3 organization on December 27, 1994. The Board of Trustee approved a co-radio ministry venture with Mount Bethel Baptist Church of Alsen, “The Redeeming the Time Radio Ministry”. The Pastor was broadcasted each Sunday at 6 p.m. on station 92.7 FM. Later on, the broadcast partnered with Antioch Missionary Baptist Church, and moved to WXOK 1460 AM at 3 p.m. each Sunday. This partnership continued until 2003. In 1995, the church initiated a renovation program. The note for the renovation was retired in 1998. The Reverend James A. Terrance resigned from his pastoral position on February 28, 2003 to become the pastor of Friendship Baptist Church located in Kansas City, Missouri. During the period of March 1, 2003 to December 19, 2003, Reverend Lemuel Jones served as Interim Pastor. For the first time in its church history, St. Alma initiated a Pastoral Search Committee of nine members with the purpose of searching for a new pastor. On December 12, 2003, Reverend Davis Thomas, Jr. was elected as pastor. 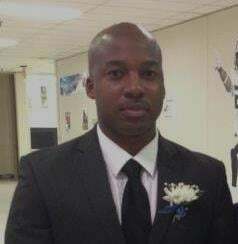 Reverend Thomas was installed as the sixth pastor of the Saint Alma Church on March 28, 2004. 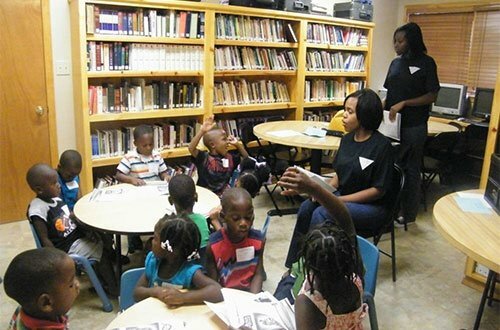 On August 2004, the first Annual Youth Explosion in which school supplies were given to over 50 students was held. After Hurricane Katrina, the church did an outreach to its victims. 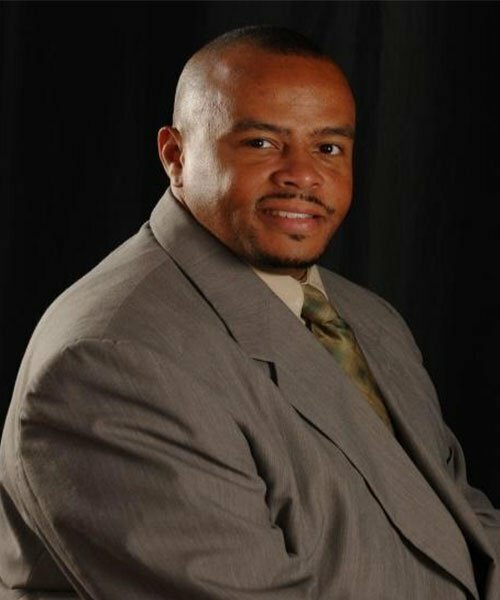 On March 8, 2007, Reverend David Thomas, Jr. the sixth pastor of Saint Alma Baptist Church submitted his resignation as pastor. Until the present pastor was elected pastor, supply preachers were utilized to fill the pulpit. On December 23, 2007, the St. Alma Baptist Church unanimously elected Rev. Mary Whitley Moss as its seventh pastor. She was installed on Sunday, February 17, 2008. Rev. Moss’ election as the seventh pastor St Alma Baptist Church of Lakeland, Louisiana was a historic moment in the life of the 134 year old Baptist Church. 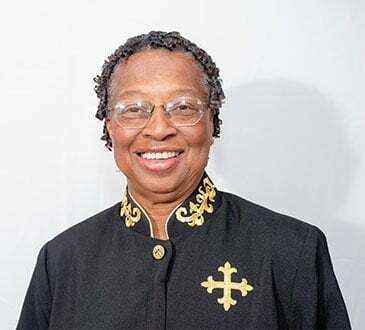 She became the first female elected to the position of pastor of this traditional Baptist Church and the first female ever installed by the 133 year old Fourth District Baptist Association. The installation of Reverend Moss as pastor brought with it vision, competency, and experience. Seminary trained, spirit-filled and led, along with experience equipped Reverend Moss to begin a work of rebuilding the church and its ministries. Her vision was to build a ministry that will impact the Kingdom of God by adding souls, strengthening believers, and developing need driven ministries. Under her leadership, Pastor Moss has led the church from 15 members that joined her in Bible Study on Thursday nights to over 190 members. There now exists over 14 ministries that were designed to meet the needs of the members and community. The church acquired two vans to meet the transportation needs of the church. The Sunday school was revitalized and now enjoys age graded classes. at Southern University and at the Baptist Student Center at LSU that attracted students and faculty. Camp Renaissance, a summer camp designed to offer activities and enrichment for children throughout the parish, offered employment to five persons, a camp director and four young people who served as camp staffers. A website was created to add visibility for our church and its ministries. In 2009, the church initiated a church based tutorial program. This ministry was offered to children in the church and local community. A radio broadcast of the parish-wide Last Seven Words of Jesus Christ held at St. Alma Baptist Church was broadcasted. In 2009, members from St. Alma Baptist became a part of a doctoral study from Beeson Divinity School in Birmingham, Alabama. It was through this study and the completion of thereof that Reverend Moss received her Doctor of Ministry Degree in December 2009. Thus, St. Alma, its church history, and its contribution to the larger body of biblical and theological knowledge, became part of the archives at Beeson School of Divinity. In 2009, St. Alma acquired three modular buildings and began a renovation program. The renovation of the buildings would help fulfill the church’s vision and provide capacity to meet educational and administrative needs. In December of 2009, the administrative office and a library of over 900 books were completed. 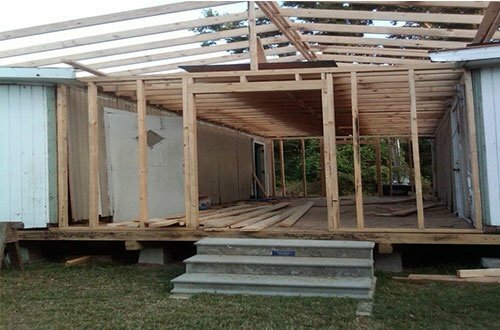 This $90,000 project with a line of credit of $40,000 was paid in full in April, 2010. The majority of the estimated labor cost was done by project managers, Deacons Ernest Jones and Eugene Collins, along with the assistance of men within the congregation. On October 29-30, 2010, the Church hosted its first Bible on the Bayou Church Conference. The purpose of the conference was to offer participants an opportunity to enhance their skills in the area of preaching and ministry. The featured speaker for the Conference was Dr. Robert Smith, professor for biblical preaching at Beeson Divinity School, Samford University, Birmingham, AL. Approximately, 125 preachers and ministry leaders were taught relevant information regarding preaching and ministering. In March 2010, the radio ministry was broadcast on KCLF, 1550 AM. In March 2011, the second phase of the building renovation was completed. The second phase was the building of an educational center which included three classrooms and additional storage space. The improvement of our church has raised the depreciated value of our facility to over $187,000. On March 12, 2011, St. Alma Baptist Church became the site for the first parish wide 4th District directed leadership school. Dr. Mary Moss was selected as the first ever Director of Christian Education. The first Pointe Coupee Parish Leadership School attracted over 125 participants. Four approved National Baptist Sunday School Publishing Board classes were held and taught by instructors certified by the Publishing Board. Media Ministry expanded to include state of the art equipment: sanctuary screens and projectors, monitors throughout the church and equipping center; a cd duplicating system, new media processing units. Thus our technology was expanded to better reach our members and community. St. Alma served the needs of the elderly through a national partnership with Faith Partnership, a non-profit organization in Raleigh, North Carolinas. St. Alma was a member of the Louisiana Cluster along with Rapides Station Community Ministries (St. Matthew Church in Alexandria, La); The Georgia Connection (AJAMM Ministries) and The Shreveport-Monroe District of the Central North Louisiana Conference. On January 22, 2012, eight deacons, Sam Adolph, Eugene Collins, Ed Free, Rodney Hebert, Donovan Jones, Ernest Jones, Richard Mitchell and Joseph Tircuit, were ordained. This was the first time in the history of our church that our deacons were ordained. Also on this day, three persons, Verni Howard, Robert Lockett and Sharon Newman, were licensed to preach the gospel of Jesus Christ. In addition, in 2012, St. Alma launched an effort to meet the needs of our church community, as well as in surrounding communities. To this end, St. Alma established a monthly ministry to Lakeview Manor Nursing Home in New Roads; an outreach ministry to Louisiana Correctional Institute for Women in St. Gabriel; a Roman Road evangelistic outreach on both sides of the Mississippi River; a support system for transportation of Cancer Patients for Our Lady of the Lake Hospital; A Thanksgiving and Christmas Outreach to children and the Elderly; and a monthly street ministry in the Lakeland area. Several Ministries were added to the church or expanded to meet the needs of our church. Media Ministry was upgraded to quality and relevant media equipment which included screens for teaching, media software, and sound. The Food ministry was added to provide the planning of food and budgeting. Children church was added to address the spiritual needs of our young people, including structured teaching and age appropriate curriculum. Added to the growing needs of this church were a facility supervisor and a maintenance manager. 2013 was a year of improvements in church administration and physical improvements to the church. Rev. Moss instituted a first ever finance ministry, led by Verni Howard to address church finance and to establish a model finance ministry that would serve to work hand in hand with the overall stewardship of the church. This ministry’s goal was created to equip the church to be good stewards over every seed sown into St. Alma. This ministry includes audit reviewers, cash count team, budget committee, all aimed at ensuring accountability to the membership. The year ended with the Lord having moved the Pastor to bridging leadership so that the ministry will be the beneficiary of the experience of the elders and the youthfulness of our young adults. It was to that end that Sam Adolph who served faithfully for over twenty eight (28) years moved to Treasurer Emeritus, passing the baton to Alexander Antoine. Mary Joseph retired as secretary and the church moved to placing Sherri Hebert as the Church’s clerk. Other new ministries in 2013 include The Christian Social Ministry and a separation of the Evangelism and Outreach Ministry. Women Ministry was reinstituted after a two-year lapse under the leadership of Thelma Jones. The church made physical improvements. The electrical system was upgraded. The fellowship hall/kitchen was upgrade to meet state required codes, including three compartment sinks and a hand washing station. Water lines and system was repaired and upgraded. A hot water heater and refrigerator were purchased. The Pastor moved forward her calling to preach and teach the Word with integrity in such a way that people might be saved and lives changed. Attention was given to being the church that Jesus is looking for when He returns, a church that is seeking to save that which is lost; to feed the hungry; to clothe those with no clothes; to visit those in prison and in nursing homes; to give water to those who are thirsty; and to seek fairness and justice for the underprivileged and underserved through a social justice agenda. St. Alma moved forward in 2014. One of our greatest achievements was that of becoming debt free. With the cooperative working of the Capital Campaign Committee, the Finance Ministry, and the membership, St. Alma financed the last principal amount of $16, 740.00, negotiating the interest rate from 7.5% to 5.2%. The loan date was 08-01-2013. The maturity date (when we were to pay it off) was 08-01-2016. But, thanks be to God and to you, this loan was paid in full on 02-14-14. We thank God that we are debt free. Prayer and putting feet to our prayers was the answer. The church continued its quest toward growing spiritually. It was through this year’s Vacation Bible School that St. Alma enjoyed strong biblical teaching, fellowship, and saw the hand of God moving in a powerful way. The Lord added over 30 souls to the church as a result of the widespread outreach of the Evangelism and Outreach Ministry. The average nightly attendance of 132 was record breaking in the history of our church. 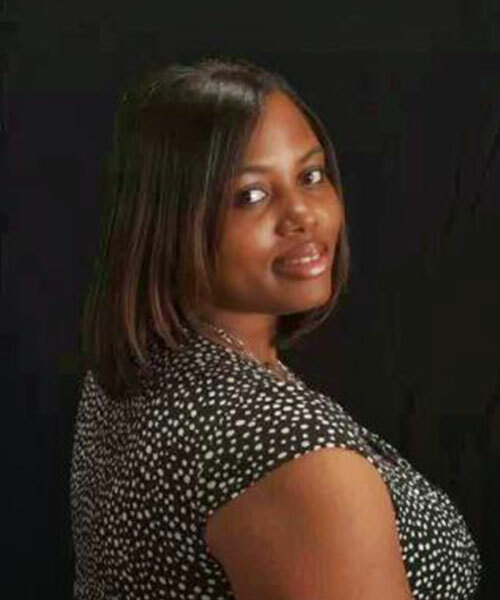 On August 30, 2014, Nicole Raby was licensed to preach the gospel of Jesus Christ. St. Alma began the process of researching for land acquisition and ultimately a new sanctuary. In October of 2014, a Land Search Committee was formed. Members appointed to the Committee were: Isadore Slaughter and Thelma Jones, Co-chairpersons, Alexander Antoine, Melvin Antoine and Ed Free. The initial committee meeting was held on October 25, 2014. 2015 pointed toward the church’s continued work in community outreach. Out of the need to minister to women housed at the Pointe Coupee Parish Correctional Institution, the Evangelism and Outreach Ministries teamed up to establish a Prison Ministry to fulfill this need. Titus 2 Women’s Ministry with the assistance of Evangelism Ministry and the Deacon Ministry, served the incoming on campus freshmen at Southern University by providing snacks and assisting them with moving their personal belonging into dormitory rooms. Though the outreach was widespread, the Pastor saw a need to further expand the ministry through The Strength for the Journey Radio broadcast. The Sunday School restructured for grade-aged classes with appropriate curriculum. The weekly radio broadcasts reaches over 10,000 households. In 2015, several members completed a two year certificate in Christians Studies from Southeast Regional Biblical Institute of Samford, University, Birmingham, Alabama. 2016 was a year of re-launching the land search committee. It was also a year of strengthening the church the church financially. In addition, the church was strengthened by the addition of eight members. In 2017, The Lord continued to add to the church. Twelve new members joined St. Alma. Added to the church’s outreach was Port Allen Evangelistic Outreach. St. Alma served this community by providing bikes to underprivileged kids and turkey to families. St. Alma also reached out to Rougon Elementary by adopting the school. St. Alma sponsored 5 adults and 14 kids to The Kids Across America mission trip in Branson, Missouri. Scholarships were given to graduating seniors. In 2017, Children Church was re-launched. Five persons received Biblical Studies Diplomas from Southeast Regional Biblical Institute of Samford, University, Birmingham, Alabama. A new gas line was installed for the church and fellowship hall. The Pastor’s vision is for continued spiritual growth of the members of St. Alma and the building of a new sanctuary designed to house a place of worship as well as ministries that will address the needs of both the present and future needs of its members. 2018’s focus will continue in 2018 to be “service in, service out”. With this focus, St. Alma will continue to extend and to expand its reach to communities and to the world through our mission and ministries. St. Alma is further committed to be about the business of saving souls and doing the work of ministry until God calls us from labor to reward. God has done much to and through this great institution. Therefore, St. Alma is committed to being, “A Church on Mission”. Please allow us the privilege of joining our faith with yours in prayer. The Word is broadcasted each Sunday at 12 noon on 1460 WXOK, Baton Rouge, LA, and at 2:00 pm on 1550 KCLF, New Roads, LA. “The people said, “let’s rise up and build, so they strengthened their hands for his good work.”"
Let St. Alma Baptist Church be the place where your journey back to the Lord’s loving arms begins!